In one of the last press conferences this year of the Fair Hostess Agency Interpret GmbH, the management informed about the agency’s national and international activities on fairs in January 2016. For already two decades, hostesses and hosts of our agency are on active service at fairs. Therefore foresighted planning is as demanded as the experience of the last decades. “I can confirm, that for us the fiscal year passed as fast as it passed for the companies that exhibit their products for four to six times a year. That is because we, as a personal provider, are involved in conversations and plans of our customers from the beginning. We work with our clients’ months before the fair or are commissioned overnight.” Says CEO Isabel Brandenburger. “As our agency is within the 40th fiscal year, we know the business and therefore are able to become active out of stand-by, but we prefer well-conceived plans for fairs, conferences and other events in the best interest of our clients.” accentuates the agencies CEO. 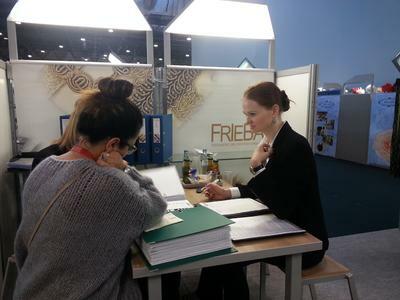 According to the motto “before the fair is after the fair”, the agency, located in Rhineland-Palatinate focuses on the preparatory consultation and advices companies from all over Europe, which want to be represented by hostesses and hosts at their exhibition stand or congresses. This phenomenon could be noticed at all technology and lifestyle fairs. For the agency the fair year began yesterday with the international fair Heimtextil for soft furnishings and contract textiles, which takes place in Frankfurt from the 12th to 15th of January 2016. 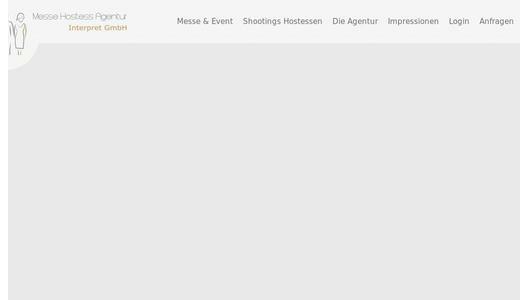 At the same day the fair EUROGUSS 2016 opens their halls at which hostesses of the fair agency will be in action such as at the fair Swissbau 2016 that will open it’s halls at 12.01.16 in Basel. 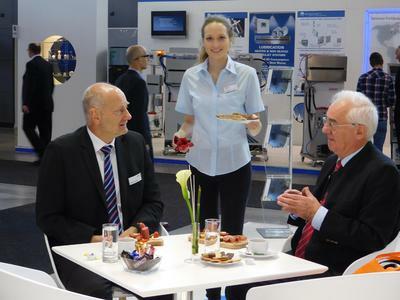 As a result of the 40-years of presence in this field, the Fair Hostess Agency Interpret GmbH is the most experienced agency in Europe. During that time more than 10,000 hostesses and hosts had been provided by the agency. By means of our active pool of approximately 3000 qualified hostesses flexibility, internationality and commissions at short notice not only on workdays but also at the weekend could be guaranteed. What assures a successful corporate presentation at international fairs is the practical experience of the management at fairs, conferences and other events on the one hand and the pre-selection of our hostesses depending of the customer’s wishes and needs.